Last year it was all about the helmets, as Army broke out 17 of them, to a mere seven unique helmets for Navy. Army still lost. This year, it’s about the unis again. As is their wont, both schools will have new uniforms for the traditional end-of-season game between the two schools, this year being the 119th iteration of the game. And this year both schools have some pretty interesting unis — with Army’s clearly being more intricate. Army is the ‘home’ team this year so they will be outfitted in “dark” uniforms, while the Navy will wear white jerseys. And if you’re a traditionalist, you won’t recognize either team. We’ll get to the helmet (which is pretty impressive) in a second. Lets look closely at the American flag and patches. You will likely first notice the flag patch on the right shoulder appears “backwards” (and has 48 stars). It’s not backwards, despite the military’s determination, most recently updated in 2003, which states the patch should “suggest that the flag is flying in the breeze as the wearer moves forward.” However, the U.S. Code does not address the positioning of the flag patch. In 1948, it was worn as it is on the uniform today, and as such is historically appropriate. The red patch in the middle of the chest is the “Red Devils” patch, which is the nickname for the 82nd Airborne. The patch on the left shoulder is a tribute to the “AA” (Airborne) patch worn by the combat jumpers. You’ll note the unique font used on the “AA” — this looked cool and worked well on a patch. Unfortunately, the uniform designers decided to base their NUMBER fonts on this style. The result may not look so hot on the field. You’ll also note the patches differ — and the name of the cadet is also on the uniform on the latter two models. This would follow recent protocol of placing the players’ names and unit patches on the jerseys. Expect Navy to also have unit patches as well. Army’s helmets, as mentioned above, are meant to mimic the netting around paratrooper helmets. It’s an interesting effect — one that may not be “viewable” anywhere but up close, but is a nice treatment. The helmets will also be adorned with a skull patch on the sides. Nice, right? I mean, if you have to have a costume. And if there are any two schools that have every right to play dress-up solider, it’s Army and Navy, since it’s possible many of these young men (and their non-football-playing counterparts) may be seeing actual deployment and possibly being asked to give the ultimate sacrifice in the not-too-distant future. These are not nearly as intricate, and actually are beautiful in their own right. According to the releases, these uniforms are meant to pay tribute to the 1963 Navy team, which was led by Roger “The Dodger” Staubach, who won the Heisman Trophy that year, and which ended the season ranked #2 — losing to #1 ranked Texas in the Cotton Bowl that season. The 1963 Navy team donned a gold uniform and helmet, along with a block N with four stars on each shoulder and blue numerals, all of which will be featured today. I’m not 100% sure why the team couldn’t go with an all gold uniform, but the team has elected to wear white shirts today. Unlike Army, these are not nearly as intricate, but the jerseys feature a navy blue yoke meant to mimic epaulettes found on the naval officer dress uniform, and the numbers are simple block. Very nice. Unfortunately, as is their wont, the uni manufacturer has added their “trademark” striping pattern on the pants. The helmet is nice. It’s an athletic gold (we’re used to seeing Navy in metallic gold), with a bold navy center stripe containing stars. There is an anchor on the side. On the back, Navy continues with its tradition of adding “BEAT ARMY” to their uniform. And of course, it wouldn’t be a modern-day game if the gloves didn’t also come with a message. Well. There you have it. The costumes for the annual Army-Navy game. I’m not sure if the words “classy” or “dignified” can be applied to any college football uniforms these days, but these are pretty close. 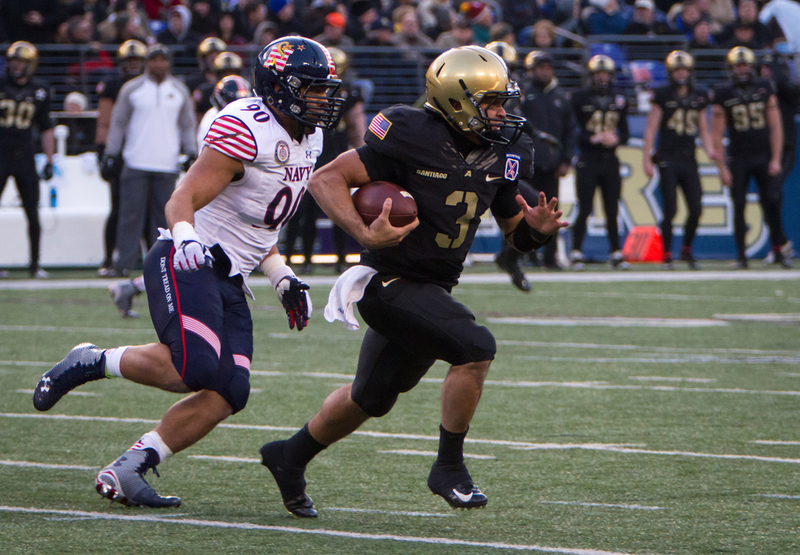 Army hasn’t beaten Navy in like 100 years, but they may have “won” the uni game. What say you? As we prepare for the 2016 edition of the Army/Navy game, it’s good to remember that this is the game we can “blame” to a certain extent for the beginning of the “special” event uniforms. It’s difficult to really “complain” about the kids playing dress up in this game…but one can argue that the 2008 game opened the floodgates to all the uni shenanigans that followed. Prior to 2008, the teams definitely had altered their uniforms, and you may remember this tremendous article co-authored by Rick Pearson, Larry Bodnovich, Jimmer Vilk and myself — if you have a few minutes give that a read. Beginning in 2008, and in every game thereafter, both teams (with the sole exception of Army in 2009) had a special, new uniform for the game. Prior to 2008, both teams usually just wore their regular season unis (and because both wore metallic gold helmets and pants…looked very much alike). It started out subtly and classily, and some of the costumes that have been introduced have been awful and downright garish. Much like Oregon started the “different uni for each game,” the 2008 A/N hookup started the ‘special event’ uniform carousel. It’s been ratcheted up by the uni makers ever since. Still, it’s fun when Army and Navy do it. Especially since all eyes are on this longtime rivalry, and since they’re traditionally the only two teams to play this end-of-season gig, it’s the only game in town. In case you missed it on Friday, this year’s NFL throwbacks — like all throwbacks that have been worn since 2013 — have had one thing in common: The teams used their existing helmet shells and either swapped out or removed their usual helmet logos, striping tape and face masks. That’s due to the NFL’s “one-shell rule,” which aims to decrease the risk of concussions by preventing teams from switching to new sets of helmets in the middle of the season. So teams can still wear throwbacks if they use their existing shells, but throwbacks that would require a different-colored helmet — like New England’s “Pat Patriot” design or Tampa Bay’s “Creamsicle” set — are now off-limits. Paul’s latest Friday Flashback column on ESPN takes a look back at NFL throwbacks that have been worn in the past but are currently off-limit. 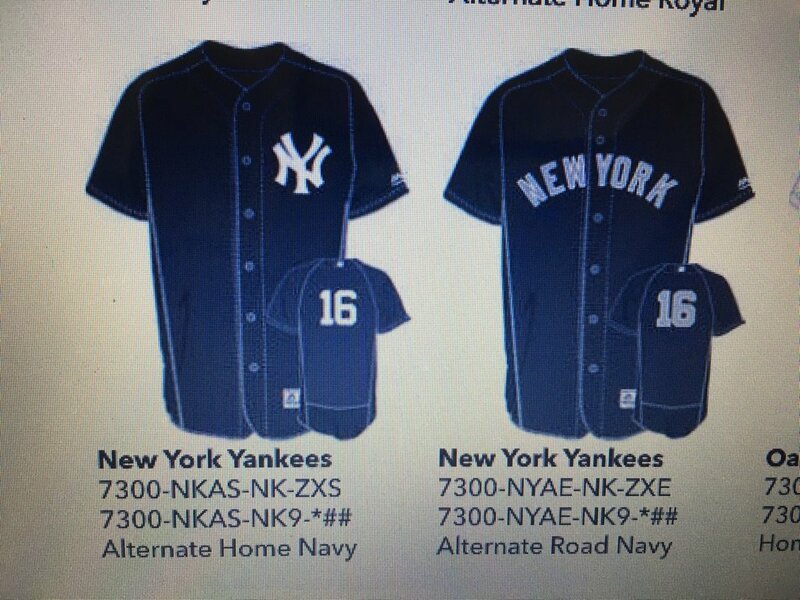 Baseball News: Midnight blue jerseys for the YANKEES“? Dave “Saw this in the 2017 Majestic catalog under Authentic Collection. Can’t be, right?” If you read the comments to that, Paul notes “No such addition to the Yankees’ wardrobe that I’m aware of.” Also, it’s quite possible these are Spring Training tops. … A team known as “The Lefties” are selling a throwback before they’ve thrown their first pitch (from Mike Carman). They are a WCL team. … Tweeter Christiantime asks if this is a new design for the Natinals. “Doesn’t appear to be the July 4th fill pattern in the curly W” he adds. … And yes, it does appear that we do have a new Nats’ jersey (from JWerth’s Beard). NFL News: Houston Texans JJ Watt must have lost a bet, because here is a photo of him donning Penn State gear (h/t John Turney). He attended both Central Michigan and Wisconsin, so he (undoubtedly) lost a LeBron James’ type bet to wear PSU stuff after Penn State beat Wisconsin in the B1G championship. Anyone know more? According to Justin Rocke, he lost a bet to Devon Still. … This Sunday, the Bills will be going blue over white and the Tampa Bay Bucs will be red over pewter with red socks (from Kenny Saidah). … Speaking of uni combos, the Philadelphia Eagles will Midnight green over white. … R. Scott Rogers notes that this pigskin sausage is actually beef, not pork, but a fun package on this Wisconsin summer sausage. College Football News: More teams are revealing their Bowl uniforms ahead of the actual games: yesterday, the Tennessee Volunteers confirmed they will be wearing their “smokey grey” uniforms to honor wildfire victims, in the *ahem* Music City Bowl. (more here and here). According to UT, they’re “wearing their hearts on their sleeves”. … We know Navy will be using a football with colored laces for today’s game, but will the CFB Playoff be using a ball with colored laces as well? (good spot by James Gilbert). … WillChitty2 does note that some Wilson footballs have colored laces, so that is possibly what the CFB Playoff was depicting. … Several cities have expressed interest in holding the Army/Navy game and according to reports Pittsburgh is one of them. The Baltimore Business Journal reports that Pittsburgh is one of 10 cities who would like to host the game (from Jimmer Vilk). … Looks like JMU Football is using about 4 different fonts for their uniforms, observes clenz. “Chest, helmet and collar all different”. Add to that one more element – the “tail bone logo” (which is I suppose a slightly more elegant name for tramp stamp). Hockey News: This morning at 8 a.m., the Philadelphia Flyers will unveil the fresh new look they’ll wear at the 2017 Stadium Series game against the Penguins in February. But it looks like the new jersey has already leaked, via Amazon. … Barry Melrose of ESPN has revealed his top five logos of all time (thanks, Brinke). … Here are the Star Wars Jerseys the Utah Grizzlies will wear for this evening’s Star Wars Night (h/t Landry E. Heaton). … The Grand Rapids Griffins did a 80’s fauxback sweater last night (h/t Trevor Toczydlowski). … The Alaska Nanooks are rocking throwback jerseys from the 1936 season vs. UAA this weekend (from Patrick Thomas). … UMass-Lowell wore fauxbacks last night. According to Dan Droper there used to be a chief where the number is. … Dustin Burns noticed, “Ol’ Bobs (Columbus Blue Jackets’ goalie Sergei Bobrovsky) had a mask issue and apparently couldn’t get it fixed quick enough so he had to use another.” … Whoa. Now THIS is a Star Wars sweater I can get into (from Jeff Tasca). NBA News: What’s in a name? China’s highest court decided that Michael Jordan owns the legal rights to the Chinese Characters of the equivalent of his name. It’s a rare legal victory in a country that’s notorious for copyright infringement and outright theft (thanks to Mike Chamernik). … In a move that could only be said to bring a tear to Jimmer Vilk’s eye, the Cleveland Cavs broke out the orange classic throwbacks (from Robert Hayes). The NBA bills these as “Hardwood Classics.” Here’s how they looked in action. … This photo not only features two of the smallest players ever to play in the NBA, but also the Wizards Bullets lowercase NOB (from Mark Johnson). — BTW, that NOB is the same font as their wordmark (from VP). College Hoops News: Interesting look inside of William Arena in beautiful Minneapolis last night, as the Minnesota Golden Gophers, clad in gold, had four of five players wearing white leggings, with a fifth having white compression shorts visible (from Tony Tengwall). Soccer News: Atletico Madrid has unveiled a new crest. The La Liga team will eliminate that dot of green from their badge, and The blue in Atleti’s crest is navy, and the red stripes are wider. There are still seven stars, a bear, and a strawberry tree (from Matt Kellam). In related news, “Spanish soccer club Atletico de Madrid, the White Sox to Real Madrid’s Cubs (ironically, considering the color schemes) has unveiled their new stadium name – The Wanda Metropolitano,” says Saurel Jean. “The unusual name, which one twitter commenter ‘a name you give to a character in a fictional or sci-fi movie’, is combination of it Chinese investors/advertiser’s name Wanda and the old stadium before the old stadium The Metropolitano.” … Here’s a look at the Week 15 Premier League matchups (h/t Frederick E. Vaughn). … Chapecoense will acknowledge its Copa Sudamericana championship as well as the many who were injured or died en route to the final on its club badge (from Matt Pontoriero). … The Dayton Dynamo, an new NPSL club, have unveiled their uniforms for the 2017 season (from Ed Å»elaski). Grab Bag: More than a dozen Georgetown students took over the university president’s office Thursday, demanding the school cut its ties with Nike over unfair labor practices in Vietnam. The students, who call themselves the Georgetown Solidarity Committee, said they are staging the sit-in to protest working conditions at a factory where Georgetown University apparel is manufactured. … Here’s some Super Rugby news from Eric Bangeman: “South African Super Rugby franchises are unveiling their 2017 kit this week. First the Lions and now the Sharks, who play in Durban.” He continues, “It’s (not at all) gratifying to see designspeak has made it to the South African province of KwaZulu-Natal: The design of the jerseys embodies the heritage and traditions of the Sharks and embraces the culture of KwaZulu-Natal. Not quite as busy as the 2016 edition, so probably an upgrade.” … Did you know there was a “Boston Marathon” Jacket? Me either, but adidas has introduced one (from Brad Tatum). … The UAB Marching Band have revealed their new unis (from Clint Richardson). Last weekend I had hoped to solicit nominations for the worst uniform in several sports for the 2010s (details in that post). Although I initially received several submissions, there didn’t seem to be much interest in pursuing this, so maybe I’ll just shelve the idea. But if you guys think it might be fun, let me know and we’ll see if we can’t whip something up at the beginning of next year. When it comes to the worst uniforms of the 2010’s, in NASCAR, well, no big shocker here.. The Army unis are dreadful, the Navy unis are gorgeous. Less is more. This is one of the few football games I still watch. As heated as the rivalry is, they still have respect for their opponents. Imagine that. Agreed. That and the Harvard-Yale game are the main two I can’t miss. If I was a Navy fan, I’d be one buff dude after doing all those push-ups following scores. I dont care if it’s been 12 years since a win, I support my brothers in the Army. I don’t think Army’s uniforms are dreadful, just too subtle in their meaning. But I do agree, Navy’s unis are crisp. As a Canadian, I am neutral in the game, but the land lubber and Russian historian in me sides with Army a bit more. Plus I’d love to see some upheaval in recent one-sided nature of the rivalry. eh. Both have too many bumperstickers. Look at Navy’s #87 jersey which includes the unit patch and conference logo along with other geegaws. The wordmark and central star could well be dropped from it. Not a fan of the star-spangled stripes on helmet and pants either. As for Army . . . can’t even figure out where to begin. I do hope, though, that they can acquit themselves well on the field today. Time to let go of “Natinals.” It was funny for maybe a little while after it happened, but it’s been years since that mistake was made. Some things never stop being funny. A team misspelling its own name on its uniforms fits in that category. Also, farts in inappropriate places (church, first dates, etc.). Let go? Very poor choice of words. Great, Flyers. Giant black numbers on a black jersey. That’ll be easy to see in the stands. Or on TV. Or in any situation, ever. And, as I write this, there’s an italic tag open at the end of this post, maybe from the Quote of the Day. 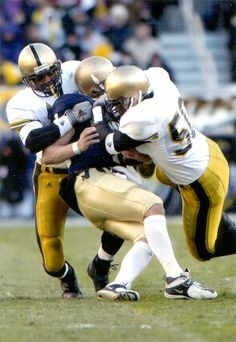 I am anti-multiple uniforms but dont mind army and navy changing every single year for this game for some unexplainable and possibly twisted reason. I wish Navy had gone shiny gold instead of yellow, but whatever. As a combat veteran of the 82nd I think that’s one of the most awful uniforms I’ve ever seen. Truly one of the worst. West Point ought to be ashamed of themselves by stooping to the GI Joke level. There is a classy, respectful way to honor our nation with special uniforms and this isn’t even close to that. Everything about it is terrible. West Deserves to smoked by Navy today for okaying these horrible crimes against humanity. Thank you. Both for your service, and for that comment. With that number font there is NO way that Army “won” the uni game. IF Pittsburgh gets the A/N game and IF the unis aren’t terrible and IF both teams still run the option and IF Phil goes to the game, I could be persuaded to come out of “retirement” for one game and join him. JIM – (and PHIL)– Don’t wait for the game to come to you! Get your butts down to Balt, Phil, Meadowlands, or wherever. This game is a Bucket List item! I went to the 1999 game at the Vet; happened to be the 100th meeting, and because it was pre 9/11, a totally different, awesome experience. For a day, suspend all thoughts about CFP, first-rounders, etc., and just watch good clean football, featuring our best and brightest. Get there early for the march-in, and stay until the guys stand together for the final songs. (I even got to see a Middie sell his “Beat Army”Foam Finger for $20.) Extra Bonus-final score was 19-9, which almost never happens, if you’ve ever ended up with the 9-9 square. Yeah, it’s a LOT easier for me to catch a game in East Rutherford, Philly or even Balto than it is to go to Pittsburgh. But I’d consider it for Jimmer. Thank you for your service. Your take means much more than mine, but I agree this does not convey the dignity of service. Should be a correction in hockey news. Barry Melrose revealing his “top 5 NHL logos of all time”. It is his top 5 hockey logos. Two of the logos are WHA. And he had a shout out to the Hartford Whalers. I’d say 2012, 2013 were my favorite Army-Navy unis. First reaction was to nominate Army’s costume for #worstuni but then I remembered Louisville’s recent history. I have neither the time nor desire to research the Toothed Cardinals, so if anyone else is interested, have at it. My favorite Army-Navy look was the 2013 game. This one, based on the Navy uni alone, may push it. I’m with Phil on the Army font though…nice concept that may not work on the field. The Minnesota Fighting Saints logo Melrose is showing incorrect. Their logo never had a halo over the little guy’s noggin. I’ve been told that certain knock-offs have the logo with a halo. Seeing that pic of Spud Webb and Muggsy Bouges, I remember when the Bullets introduced that uni back in the 1987-88 season, the way they did up the NOB in the Bullets font was very well done and probably very difficult to do. It’s a shame that NOB style was only a one season deal (as well as the red trim on the Bullets logo on the white home uni). It actually lasted 2 seasons, until 1989. IIRC, it was changed because it will damn near impossible to read the NOBs. To say the Cubs are equivalent to Real Madrid is way off…Real Madrid are probably the most successful club soccer team of all time. And, well, we know about the Cubs history…but it’s true they’re both city rivals. 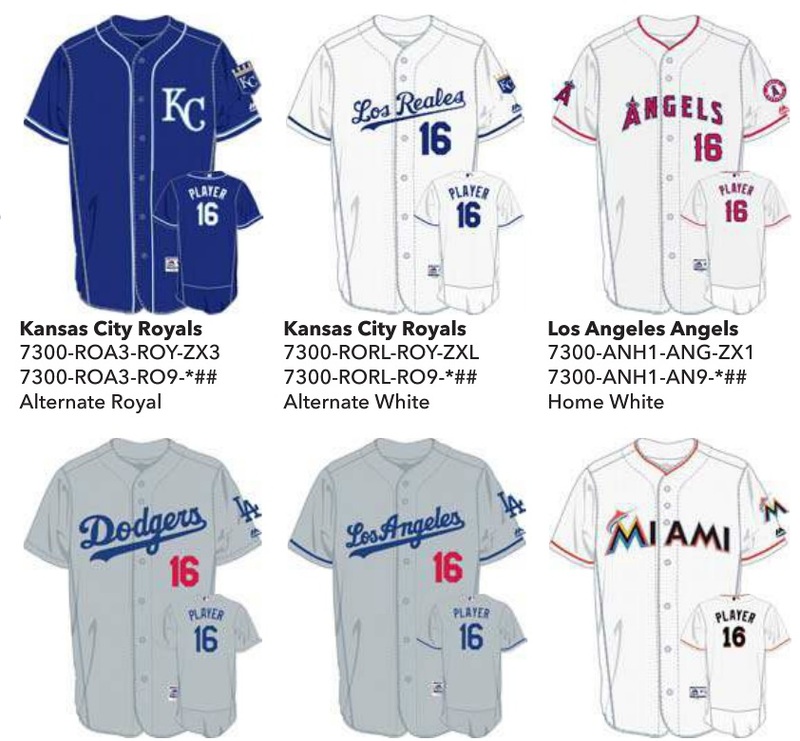 Not sure if the the Royals’ “Los Reales” Hispanic heritage jerseys are a new thing or not, but it’s interesting that it’s right above the Dodgers’ “Los Angeles” jersey, making it look like it’s actually the Angels’ Hispanic heritage jersey except the colors would be wrong. Thanks for the thorough write-up about today’s Army-Navy uniforms, Phil. As usual, I agree with your assessment. Neither Army nor Navy’s uniform is perfect, but they both offer a lot to like, especially when compared to much of what we see in today’s world of garish one-off football costumes. I would like to respectfully offer a few points of clarification on your description of the patches on Army’s uniforms. 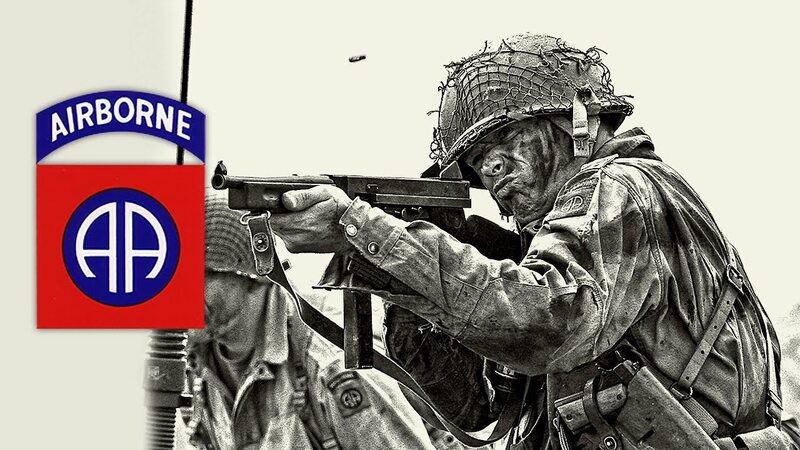 First off, the 82nd Airborne’s nickname isn’t the “Red Devils,” it’s the “All-Americans.” Rather, the 508th Parachute Infantry Regiment of the 82nd Airborne was known as the “Red Devils.” And that patch actually belongs to a different regiment altogether – the 504th – whose nickname was “Devils in Baggy Pants.” That patch is one of several historical patches representing the different regiments of the 82nd that Army players will be wearing today. Additionally, the skull and crossbones patch on the helmet is just one of a number of different helmet decals that Army players will be sporting. These designs come from the tactical helmet symbols that the 82nd’s different regiments wore to aid in visual identification. As to the photos highlighting a discrepancy between chest patches showing the phrase “All-American” and players’ last names, I have a theory about that, although no concrete proof. Nike frequently uses a placeholder word – such as the school name or a team-specific term or phrase – in lieu of a player’s name when unveiling new jerseys. I believe this is so the jersey is viewed as generic or universal rather than belonging to a single player. I suspect that the term “All-American” served that placeholder purpose for this uniform unveiling. The Army unis look better on TV than they do in still photos. But they still don’t look good. When they write the history of the Jeffrey Lucie-owned Philadelphia Eagles, among the uncountable number of negatives will be his decision to replace the team’s Kelly Green color scheme with the Midnight Green his wife chose shortly after he’d purchased the team. Overnight, they went from having arguably the best looking uniform set in the league to one of the worst. This is what Army-Navy should look like. The closer to these uniforms for either team, the better the game looks. Hasn’t been a good-looking game in the series since 2007, which Army in gold/white/gold and Navy in gold/navy/gold. The special-event decoration, such as Army’s division patches on the jersey fronts, didn’t change or interfere with each team’s iconic look. Yeah, I’d have to agree — that’s exactly the look I grew up with and it still looks great. That being said, this ain’t bad. A few minor updates are OK. But this over-the-top krep they’ve been doing the past few years really has to stop. Congratulations to Army on their win today. Please never use that number font again. What? Don’t shelve the worst unis from the 2010s idea. It would be a great, great post. I was under the impression that Navy doesn’t use “epaulets.” The actual term for them is “shoulder boards.” I think. You are correct. They are shoulder boards. Just a note: in the Army jersey description it’s says “the red patch in the center is the 82nd Airborne Patch worn in WWII and the Double A patch is to honor the division. This is backwards. The Double A patch was adopted by the Division for their nickname “All Americans” and the red patch was the Regimental Patch for the 504th PIR “Devils in Baggy Pants” each Regiment in the Division had its own unique patch sewn on to the leather officers jackets. The remaining active Parachute Infantry Regiments in the 82nd today are the 504th PIR, 505th, 508th and 325 AIR (Airborne Infantry Regiment). Units numbered in the 300 series were traditional Glider units vs Parachute units. 15th time’s a charm! I’m a biased Navy veteran. So I never want to see Army win. But yesterday they won both the game and the uni game. I agree that the number font was a bit problematic. But overall they looked pretty cool. I liked Navy’s look except for the diagonal stripe on the pants. Well done. The Mids will srat a brand new streak next year.